연골무형성증으로인해 다리가 짧고 0자형으로 휘어져 교정한 상태입니다. 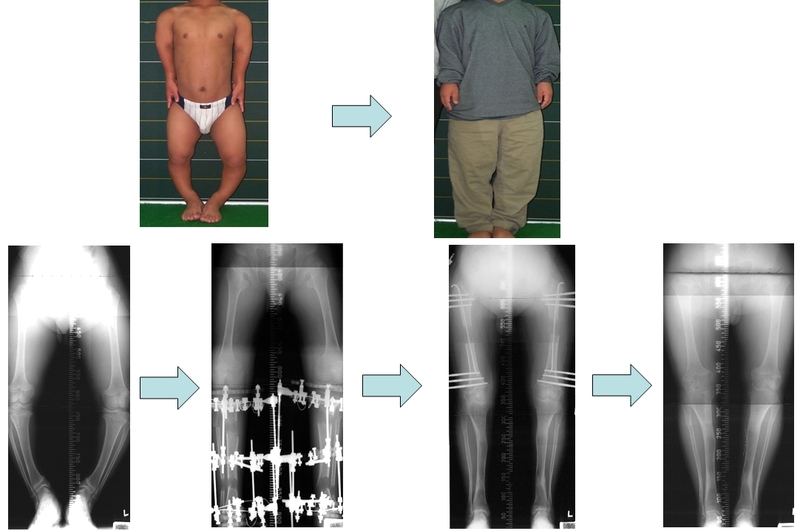 Because of achondroplasia, legs are short and bent as 0 shape. Calibrated status.